First of all, Tauke said that choosing the right fish is very important. Must be freshly caught early in the morning, if not it will ruin the porridge taste...Hmmm..freshness wei ! The tauke chose the freshest garoupa (石斑鱼) for us.. Yummy~licious! 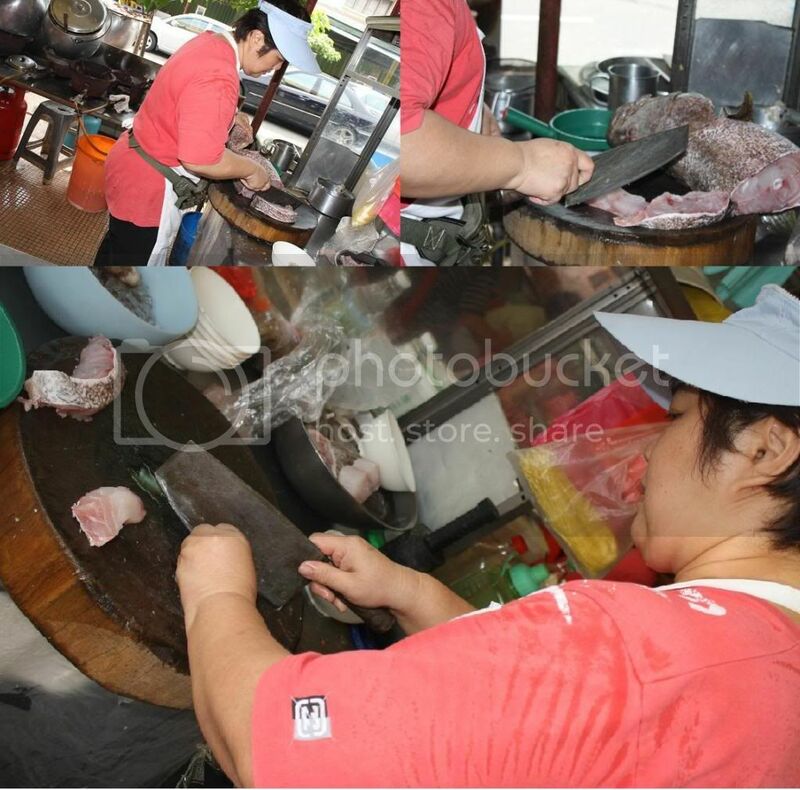 "Tauke Soh" then slice the fish into thin slices ~ She said that the thickness must be "gnam gnam ho" so that it will be tender and nice to chew. Wah dunno got such things wan. We also ordered a bowl of GIGANTIC SEA PRAWN (明虾) porridge. Hmm...let's see how it turns out! Tada~ The final product! Add with some soya sauce, pepper, ginger and spring onion & ur all ready to "start ur engine"! Amboi! really true la...the fish & prawn sangat fresh~ Really no fight ler.. TRUST ME MAN! i saw before on TV...d fish head look bigger lor..